Peripherals are something I have been quite fond of for some time now. 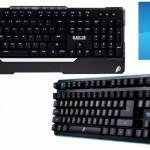 They come in all different types and are very essential for every PC gamer, or, even general PC users. 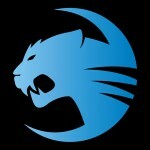 Lately, we are starting to see an up rise in companies designing peripherals for their gaming based fans. 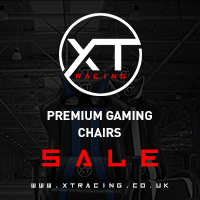 New companies are coming from all over with their own takes on what they feel that PC Gamer’s will want from their peripherals! This includes things such as even manufacturing new mechanical type switches for keyboards in order to not only save money, but also in efforts to try and offer something other companies don’t have. 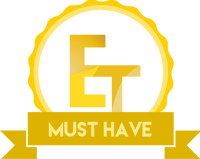 However, when it comes to quality, are you going to trust something that not many people have used before, or, are you going to trust something that has been tried and tested by thousands of people and is known to represent quality? Me, while I love trying new things, if I am purchasing for myself I would go with the later and that is where companies like Cooler Master come in! 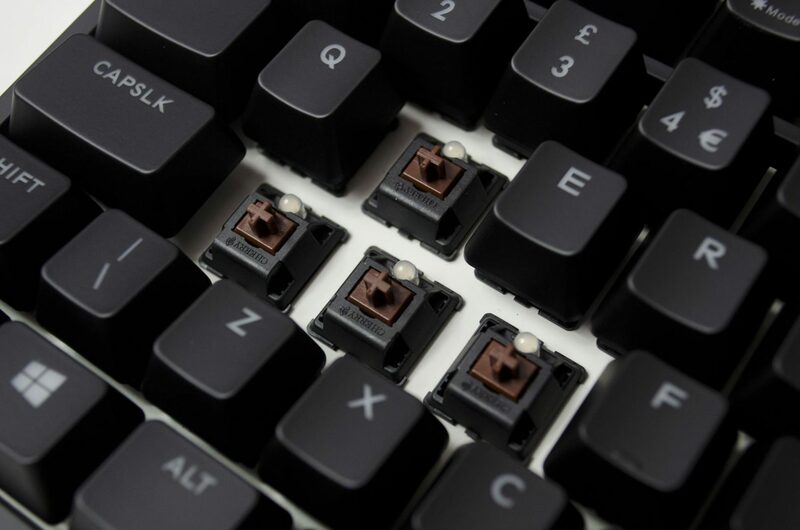 Cooler Master uses the original Cherry Switches in their keyboards and while they may cost more than keyboards with other switches in it, you can guarantee you are going to get a keyboard with switches that perform as they should. 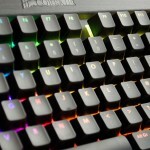 Today, I will be taking a look at one of Cooler Master’s latest mechanical keyboards by way of the CM Storm Quick Fire XTI. 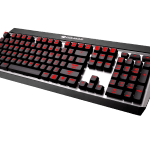 The Quick Fire XTI feature Cherry brown switches and has a 3-colour per-key backlighting feature that is controlled VIA the keyboard without the need for software. 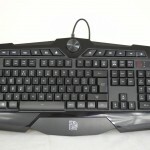 This keyboard also comes with a removable USB cable to allow for easy transportation. As there is no software, the Quick Fire XTI features onboard memory to say all your profiles and macros, which can also be changed on the fly! Closer look video which shows off the lighting profiles and features. Video showing how to setup and customize the keyboard. 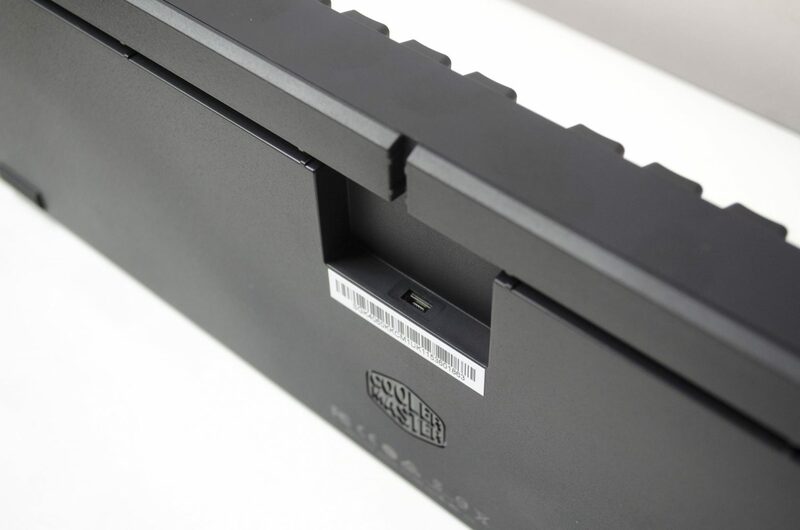 Inside the box, the Quick Fire XTI comes in a nice cloth protective covering to ensure it gets to you in perfect condition. 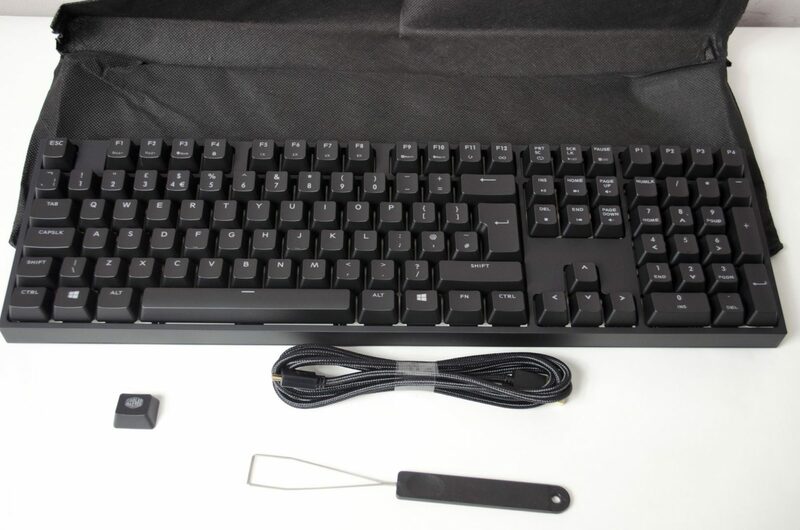 Alongside the keyboard are a couple of accessories, such as a keycap puller and even an extra keycap that features the Cooler Master Logo on it. Users will also find a nice braided USB cable so they can hook the keyboard up to their PC. The Quick Fire XTI features a sleek black look and comes equipped with removable ABS keycaps. This simply means users looking to clean their keyboard or change keycaps will be able to do so with ease. All keys are also laser etched to allow for the backlighting to shine through. Across the top of the keyboard are the F keys as per normal. 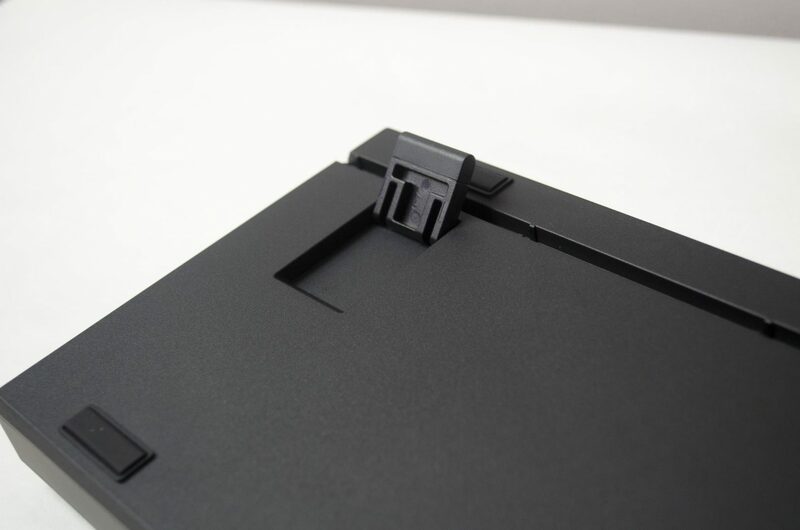 However, on the Quick Fire XTI, most of the keys also have a secondary function when combined with the use of the FN key. 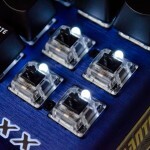 F1-F3 are going to be used to control the LEDs on the keyboard. 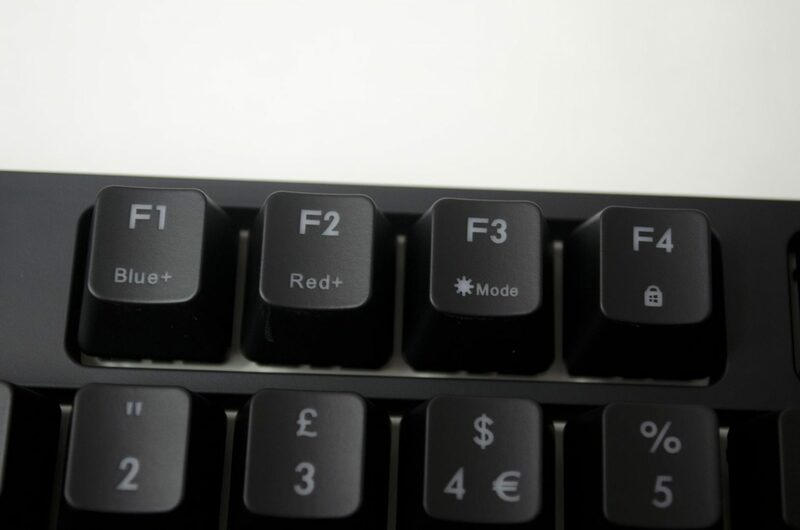 F1 and F2 change the colours between red and blue, for each there are various brightness settings. 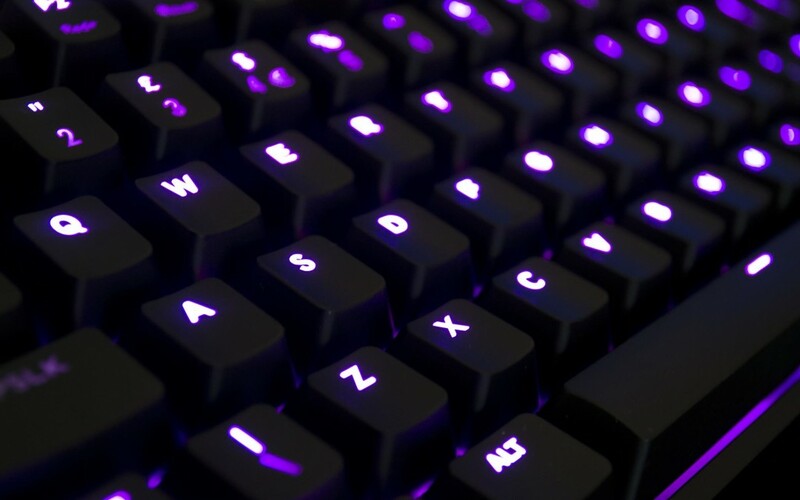 For users looking to have their backlighting purple, they will need to play with a combination of blue and red to reach their desired effect. The F3 key selects the mode of the LED lighting, for more info on this and a demonstration please view the video at the beginning of the closer look section. 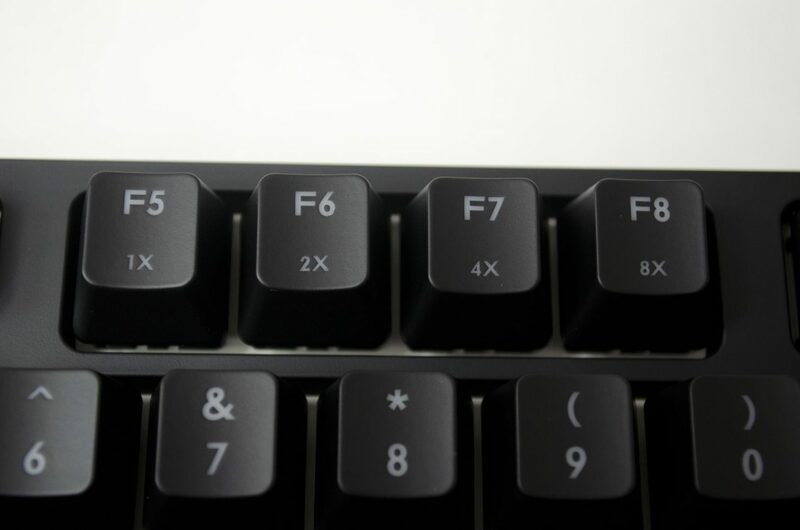 The F4 key is for windows lock, a great feature, especially for gamers. F5-F8 are designated for changing the refresh rate of the USB connection. Simply put, the higher the refresh rate, the faster you can type, or the faster the PC will recognize key presses. 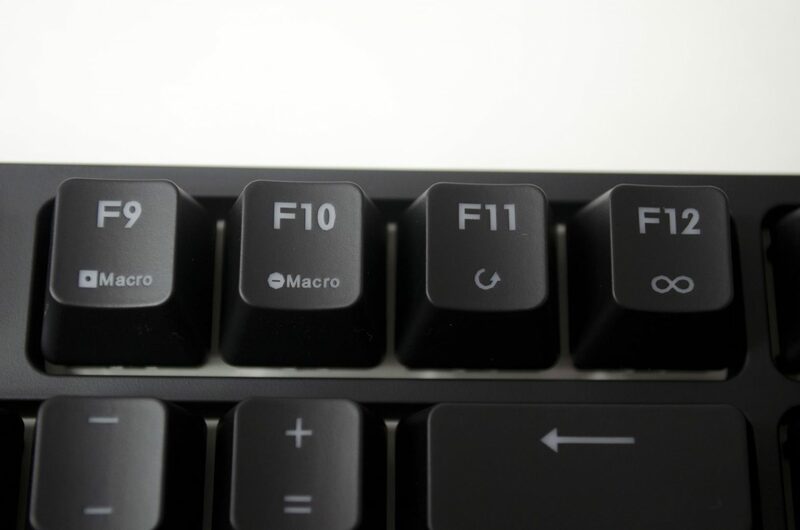 For all those looking to make use of setting up and customizing macros, the F9-F12 will be your friends! 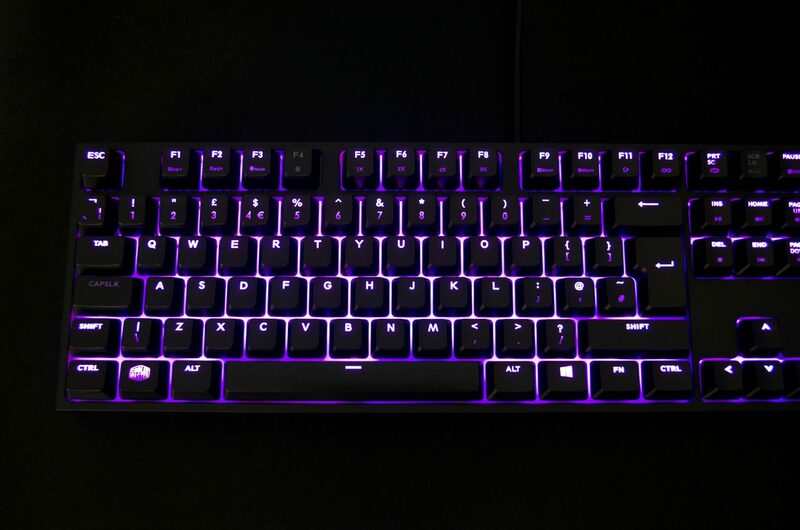 The last few keys across the top row will help you add effects to your LEDS, while the P1-P4 keys will allow you to setup different profiles based on your own individual needs. As mentioned, the Quick Fire XTI features Cherry Brown switches which are tried and tested and are also a pleasure to game and type on. I was a bit dubious about the brown switches at first, but after a few weeks of using them, they are rather nice. 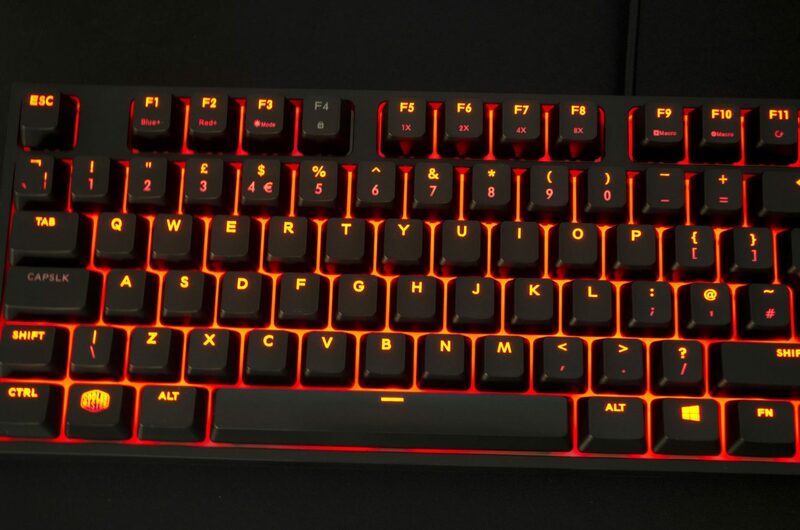 The one downside to the Cherry switches is the LED is at the top of the switch and not the middle and while it isn’t a major deal, you can notice it more on some keys rather than others when the backlighting is enabled. 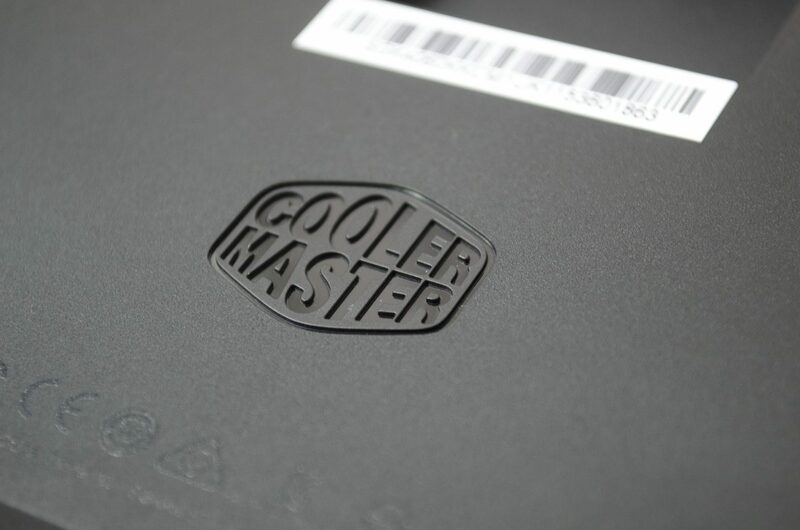 On the bottom side of the keyboard, there is a nice Cooler Master Logo, a pair of feet to make the keyboard more ergonomic and we can see the housing for the USB cable and how it is protected from just falling out. Here are a few images showing off the lighting of the Quick Fire XTI. If you are looking for a more detailed look please see the video at the beginning of the closer look section. 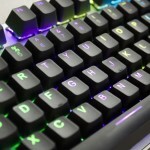 When it comes to the performance of the Quick Fire XTI, a lot of the raw performance comes down to the switches which we know are the reputable Cherry MX Brown switches. Aside from that, the functionality of the keyboard also helps to aid in its performance which is nice thanks to some great onboard features. 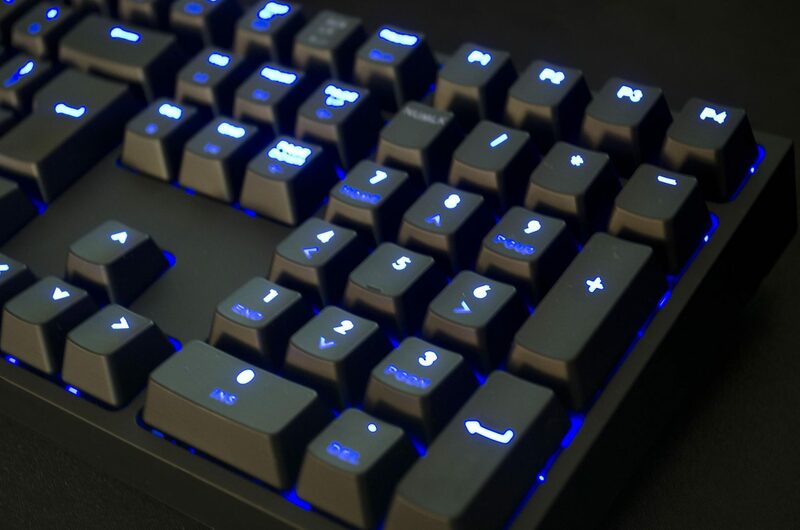 When it comes to gaming, the Quick Fire XTI is right on point with any other keyboard I have used that features Cherry MX switches. 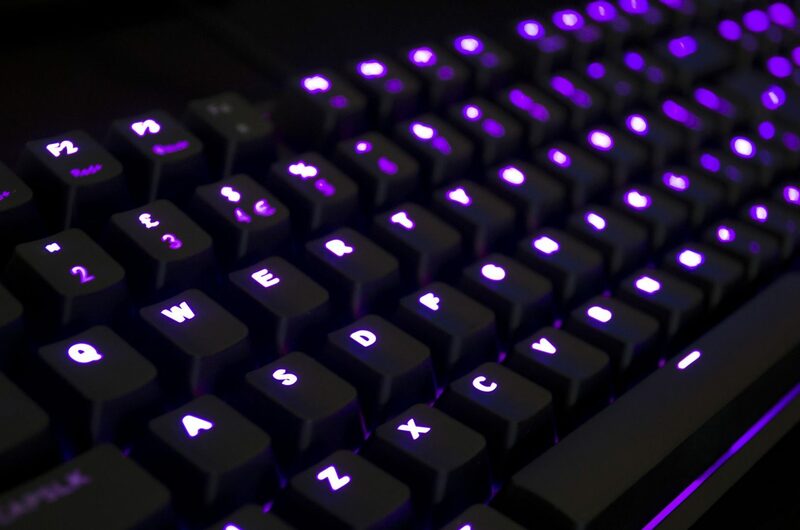 Switch types aside, the Cherry MX switches are known for offering premium performance and are the #1 switch type currently on the market. Testing the Quick Fire XTI in my favourite FPS games was quite fun. Coming from my day to day keyboard with Cherry reds, I didn’t feel much difference in the gaming performance. There was no noticeable input lag so the responsiveness of the keyboard was almost instant, which is a big factor in FPS gaming as you will want to get the jump on your opponent by getting that first shot off, first! I also didn’t feel any fatigue or soreness after using the Quick Fire XTI for prolonged periods of time. Using the Quick Fire XTI for daily tasks was a pleasure. One of the more simple yet favourable features for me was the location of the volume controls. 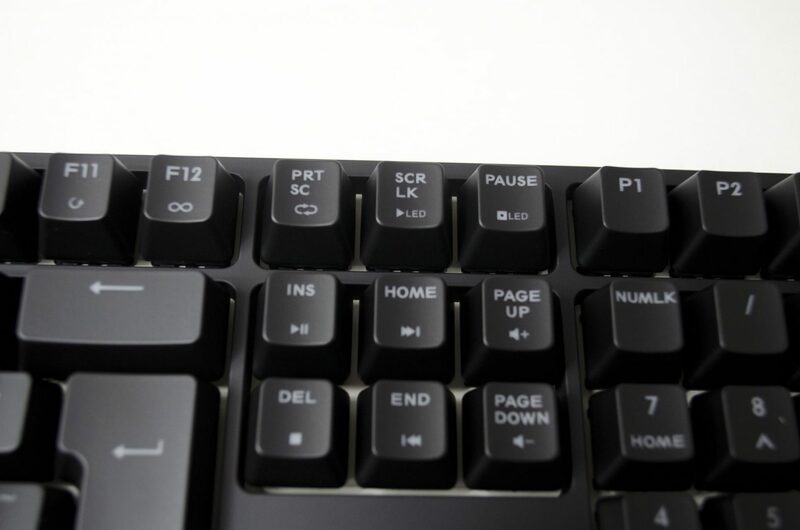 Using the FN key + Page UP/Down keys allow you to change the volume with one hand. A lot of times these volume controls are located on some of the F keys and are hard to hit with just one hand, but as we know, the Quick Fire XTI has other plans for all it’s F keys. Typing was great and everything seemed fluent and effortless. I typed quite a few reviews on it and even using it for things like posting on social media was as good as one good hope for. The performance was everything one would want from a mechanical keyboard featuring Cherry MX switches. While the lack of software may not be to some peoples liking, I imagine it will go over fairly well with quite a few. The onboard memory will allow users to store multiple profiles so they can make the most of the Quick Fire XTI. The gaming performance was on-point and using it for day to day tasks such as web browsing and word processing was equally enjoyable. 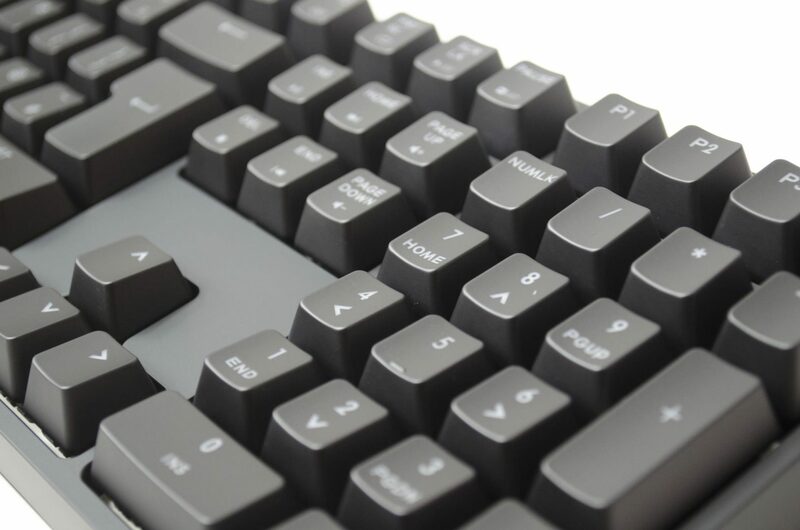 The use of the extra FN keys located around the keyboard help to make sure users can complete most takes with ease and are very handy to have. 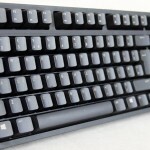 Again, I would like to commend Cooler Master for using the original Cherry switches and not some knockoffs! The keyboard is all black and has a sleek design to it. 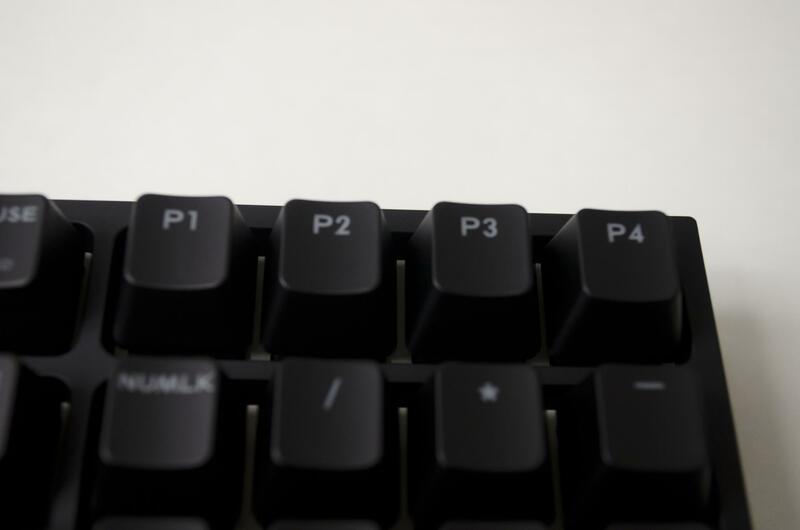 While it is a full-sized keyboard, it doesn’t have the extra space around the frame that we see on so many keyboards these days for various reasons. Not being overly large while being full-size is going to be a great selling point for the Quick Fire XTI. One thing that may be a bit controversial is the backlighting and the fact it is not full on RGB enabled. The combination of red + blue do allow for a few others pink/purple colours but you will not be able to get any greens, yellows or any other colours. 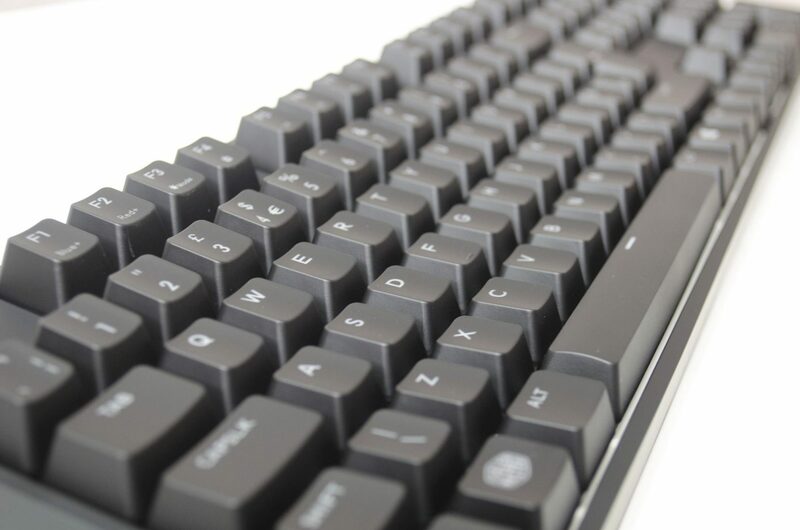 Again, the FN keys are placed nicely around the keyboard to allow for ease of use and are simple to use. Coming it at around £110 here in the UK which is £30 or so cheaper than when it was first released, the Quick Fire XTI offers good value. 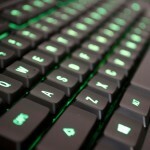 While some may not see the point in what they would call over-expensive mechanical keyboards, others will appreciate the performance and extra functions it has to offer. 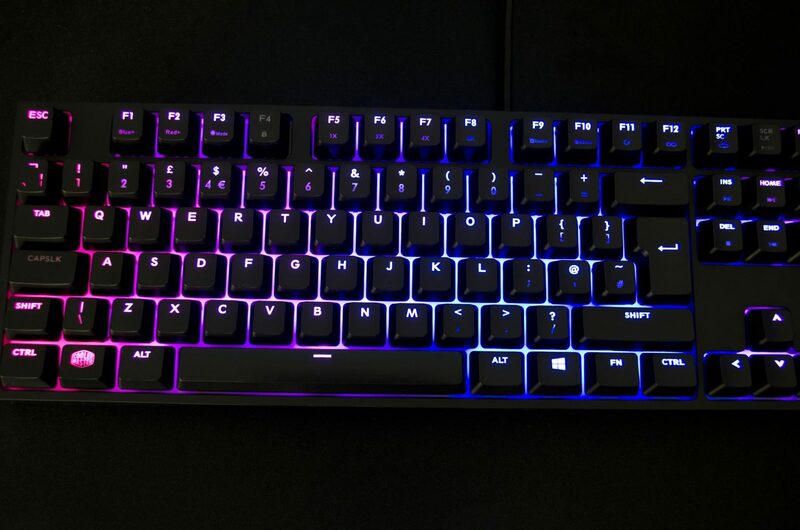 One thing to keep in mind is the fact Cooler Master has had to program the keyboard to be able to be controlled without the use of software which adds a bit something extra to it. Cooler Master also did a good job in making sure the design was on par with the performance it has to offer. When all is said and done, the CM Storm Quick Fire XTI is a great keyboard. 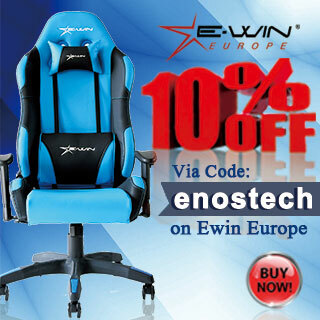 It offers functionality and performance in a well-designed package at a fair price. The Cherry Brown switches may not be to everyone’s liking but dependent on your region, you may be able to get it with either Cherry Red or Blue switches as well, helping it better cater to the needs of a wider audience. I would like to thank Cooler Master for sending their Quick Fire XTI in for review.